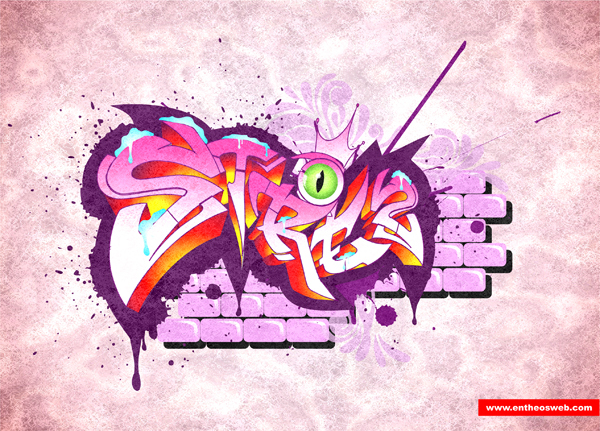 In this tutorial you will learn how to create Graffiti effects using smudge, shape, and texturing tool with Coreldraw, to create grunge and splash effects. 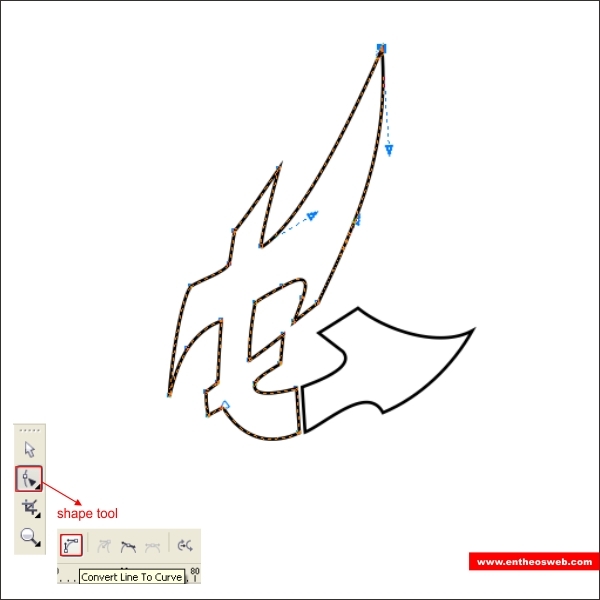 go to the " Bezier Tool " and create a custom diamond like shape similar like below, point and click to create the line and make sure that the first click is connected to the last click or else you can't put color in it. 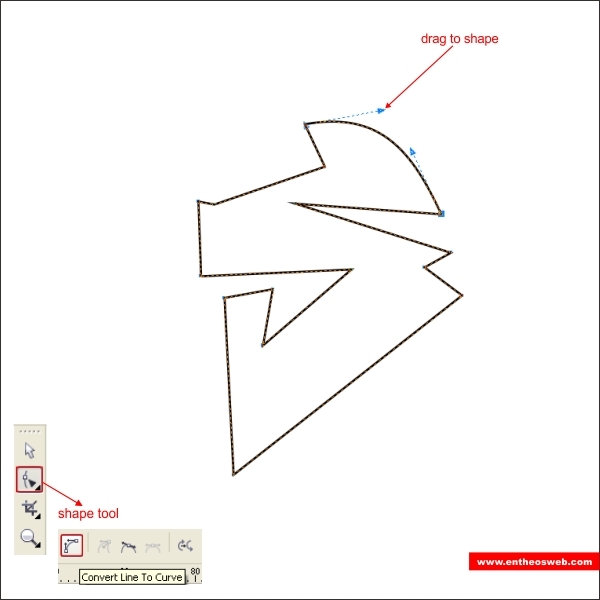 After that go to the " Shape Tool ", double click on the middle side lines to create custom node or corner, drag the new corner to the middle. 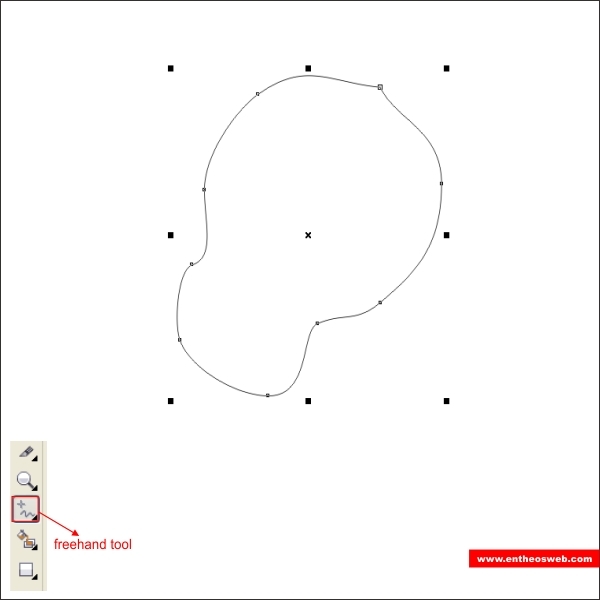 Shape it by creating new nodes or corners untill it look like the picture below. 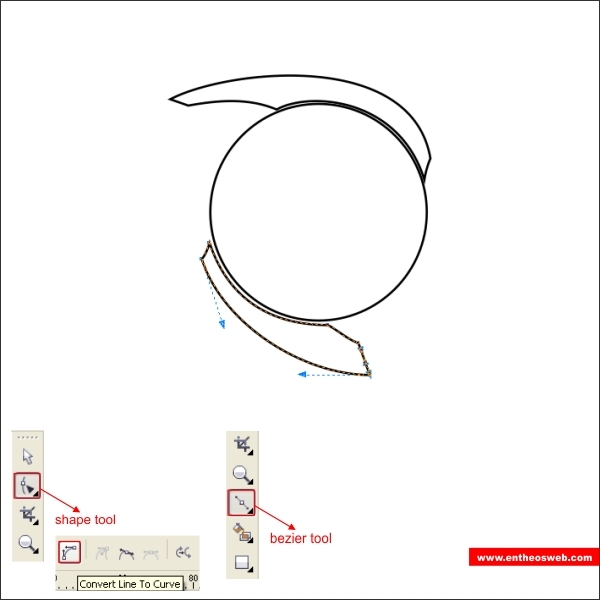 Now right click on the upper side lines and find " Convert to Curves " in the upper toolbar, in the corner you will see an arrow, drag the arrow to shape. 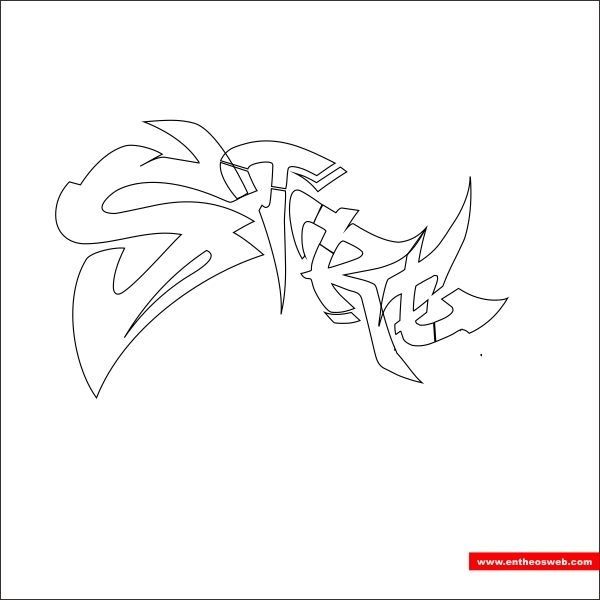 Using same steps as above shape it untill it looks like an "S". 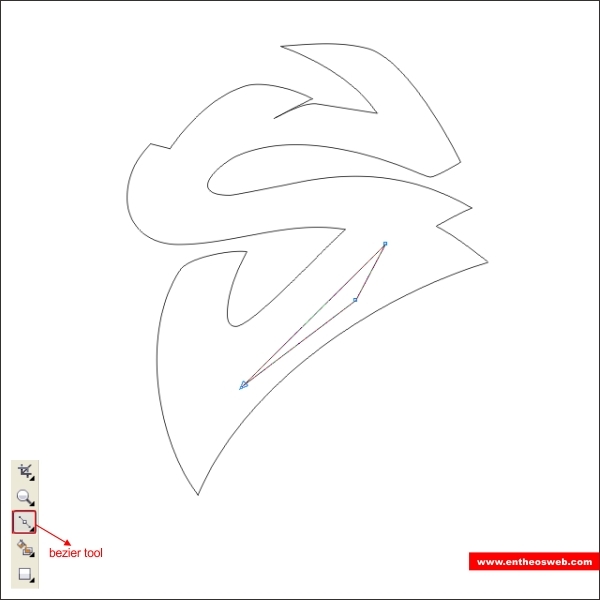 After that create a triangular shape on the bottom of the "S" using "Bezier Tool ". 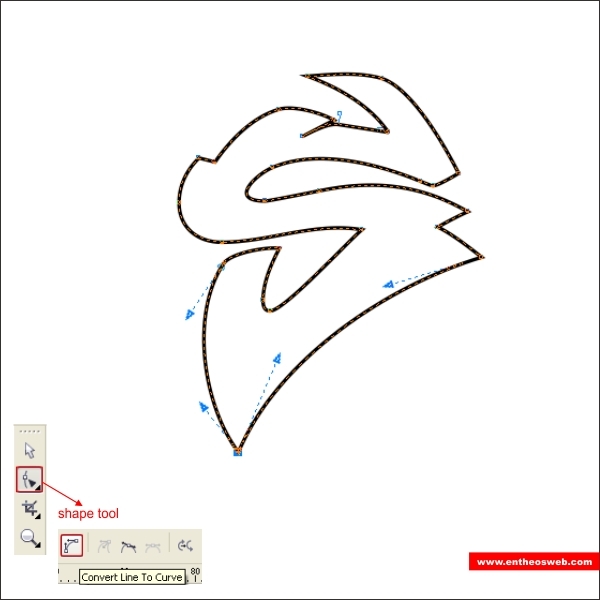 Shape it by following the contour of the bottom " S ". 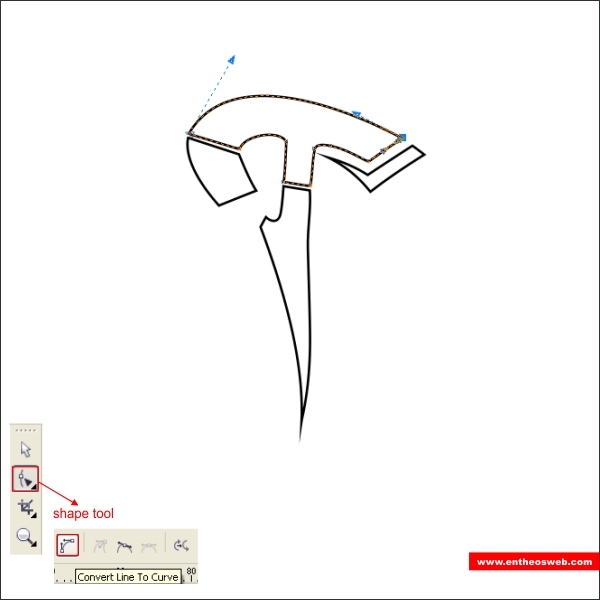 After that select all the objects and go to the upper toolbar and press " Trim ", this will make the " S " shape hollow. 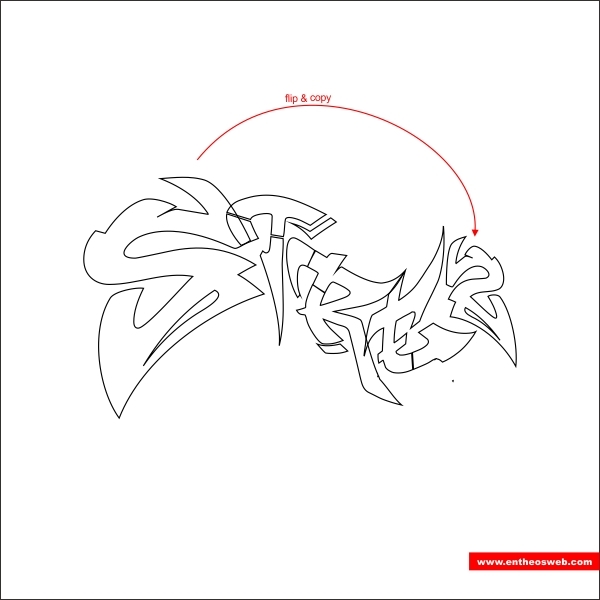 Okay after that create a " T " like shape using " Bezier Tool ". 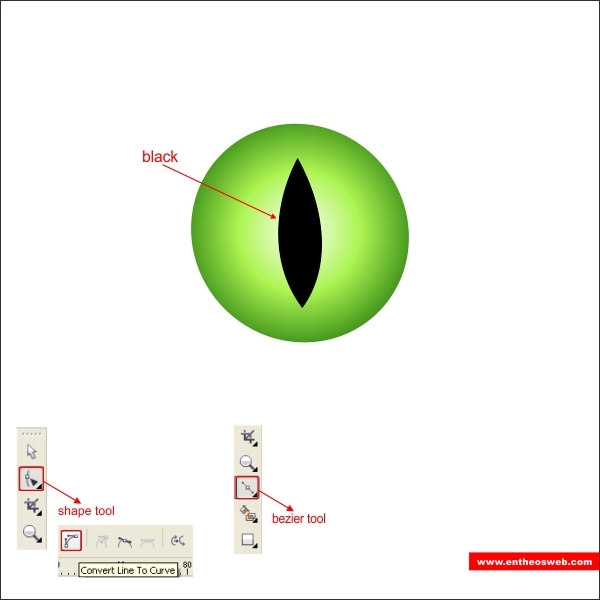 Shape it so it will look more natural using " Shape Tool ". 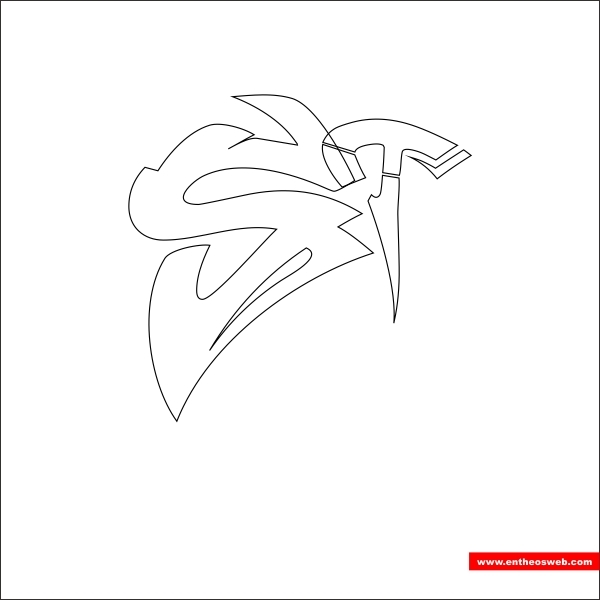 Arrange it next to the " S " shape. 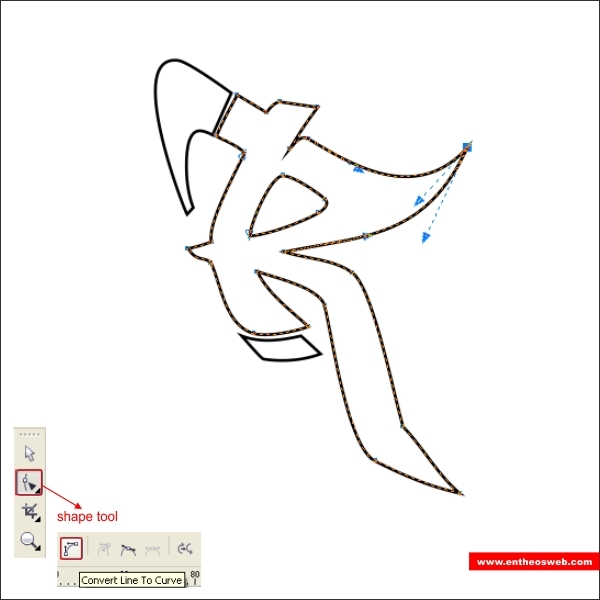 Using the same methods with " Bezier & Shape Tool " create an " R " like shape. 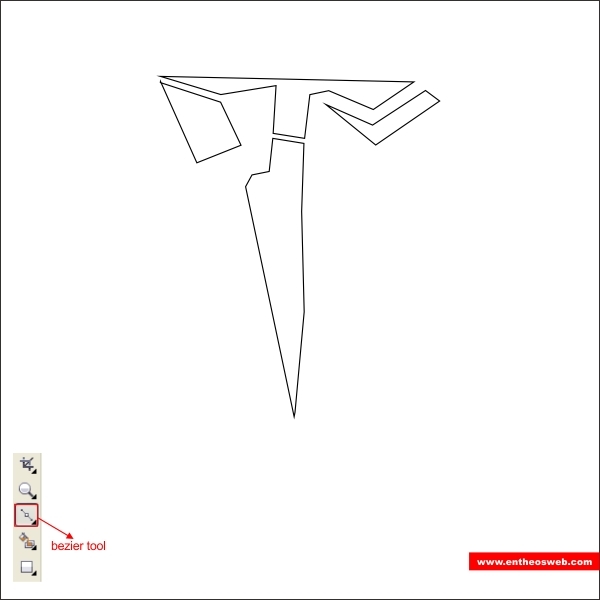 Place it next to the "T" shape. 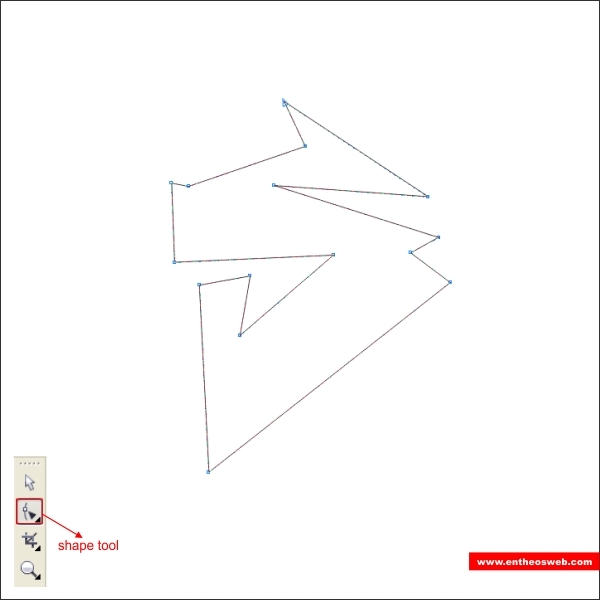 Now lets create the " E " like shape using the same technique as above. 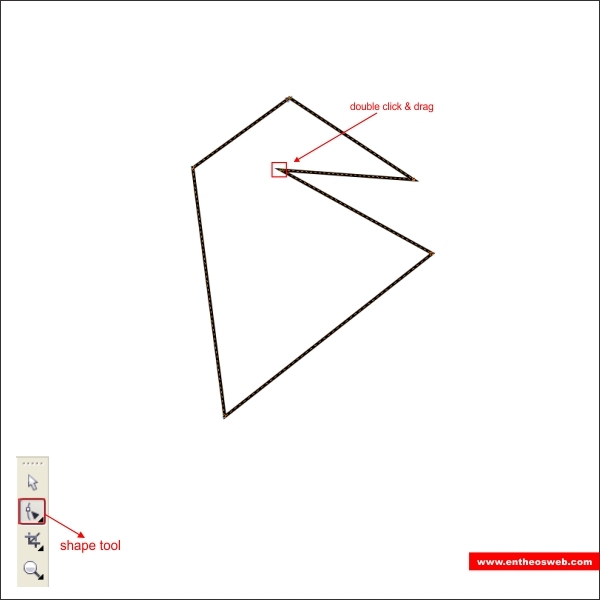 Shape it so it will match with the other shape. 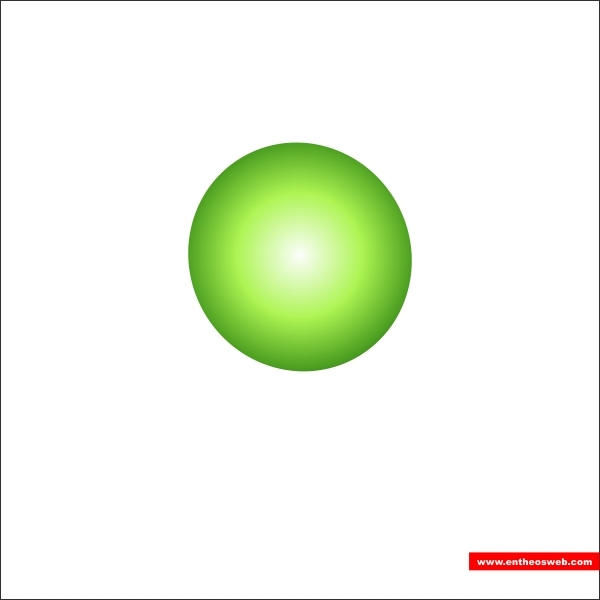 Place it next to the other shape that you previously create. 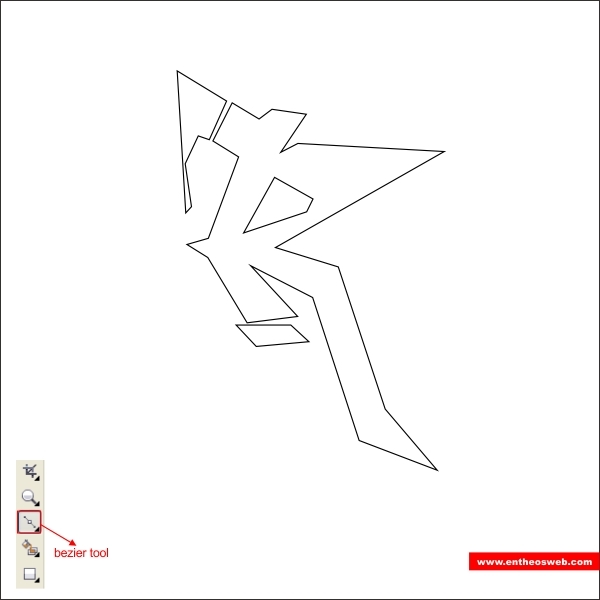 Now select the " S " shape, flip and copy it by pressing " Left + Right mouse " while dragging the shape to the right. 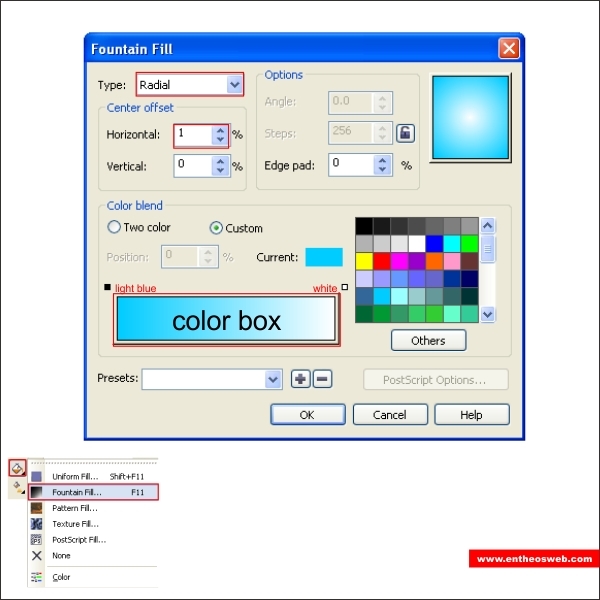 Okay now we are going to put color in the Graffiti Illustration that you previously create, go to the " Fountain Fill Tool " in the left toolbar, after you see a fountain dialog box apply the value below to create a the color. 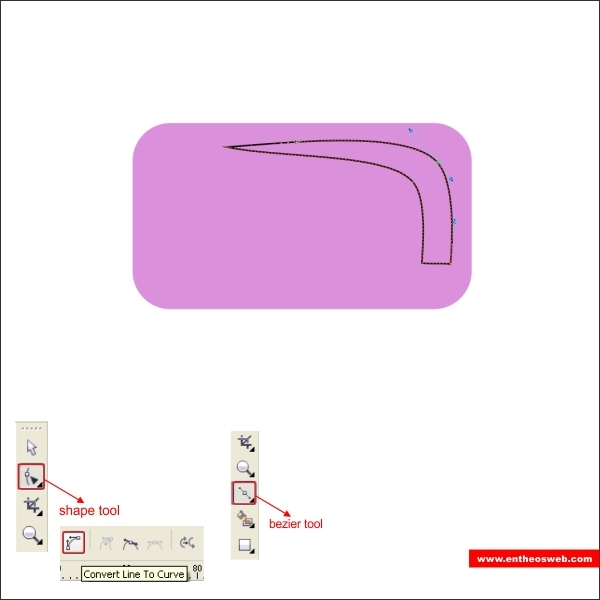 After that select all the shape and group it by pressing " Ctrl + G ", now go to the " Extrude Tool " and apply the value below to create similar extrusion. 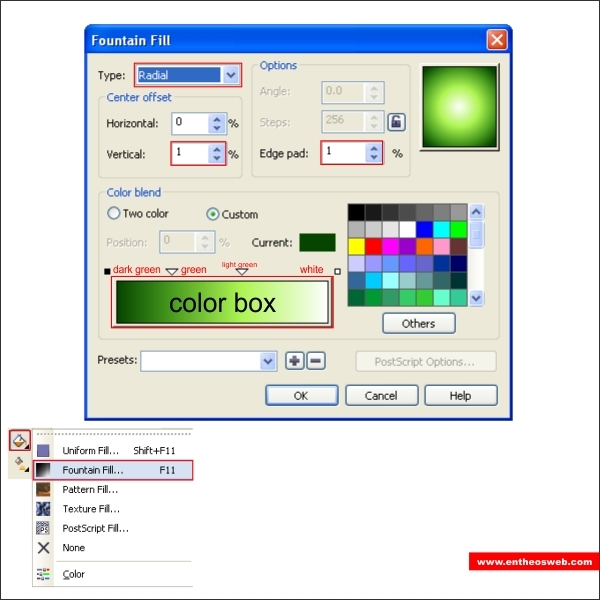 Separate the extrusion by pressing " Ctrl + K ", after that lets put color in it by go to the " Fountain Fill Tool " and apply the value below. 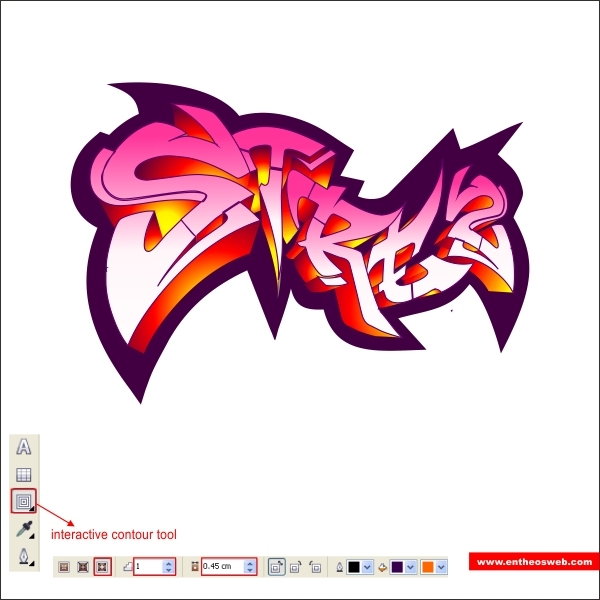 Okay now select the Graffiti Illustration and go to the " Contour Tool ", apply the value below to create similar outline. 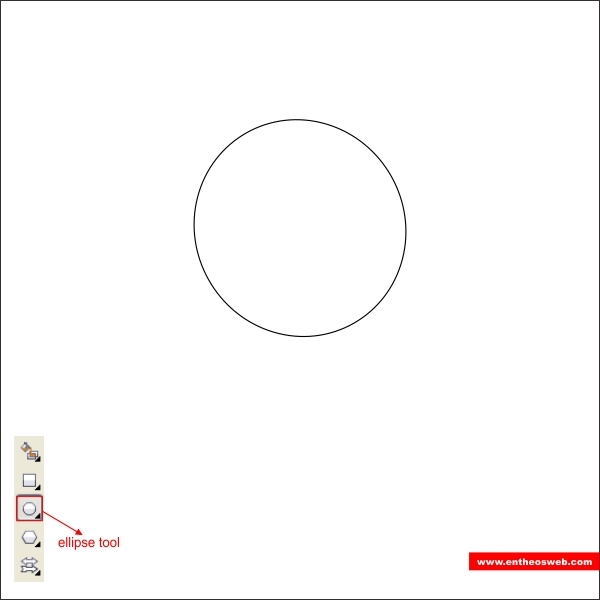 After that create a circle shape of any size using " Ellipse Tool ". 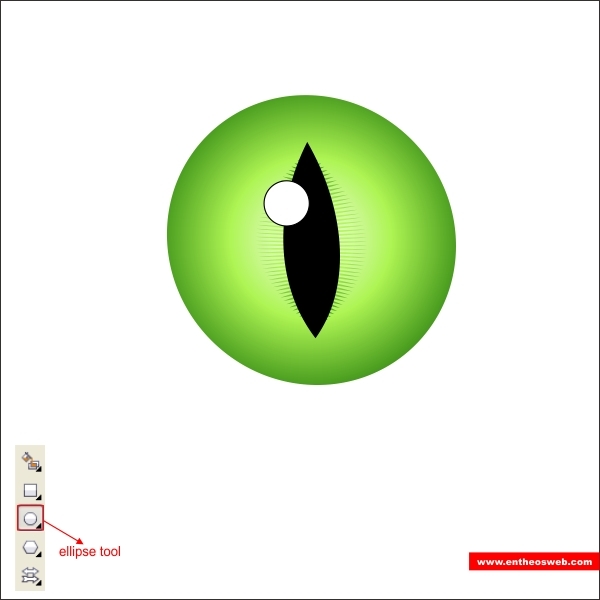 After that create a black cat eye lens using " Bezier & Shape Tool ". 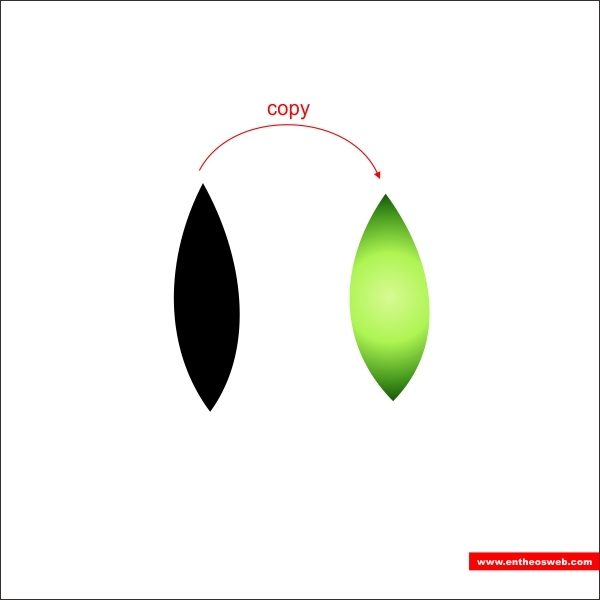 Now copy the black lens and put the same color as the circle shape on the copied one. 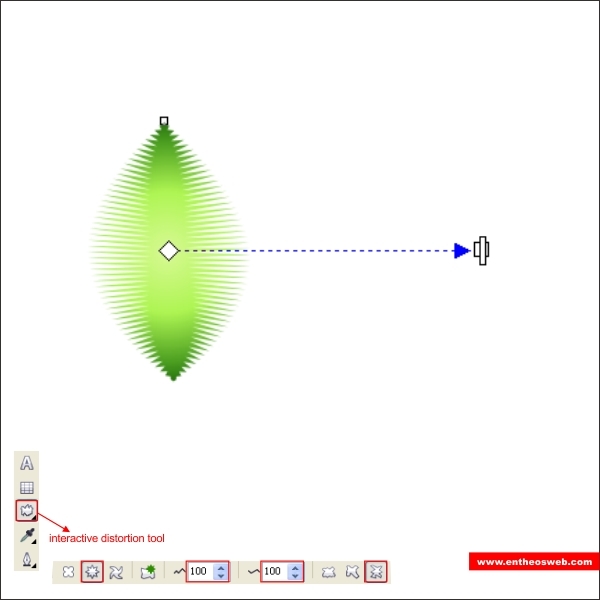 Lets make it a little " Jagged ", go to the " Distortion Tool " and apply the value below. 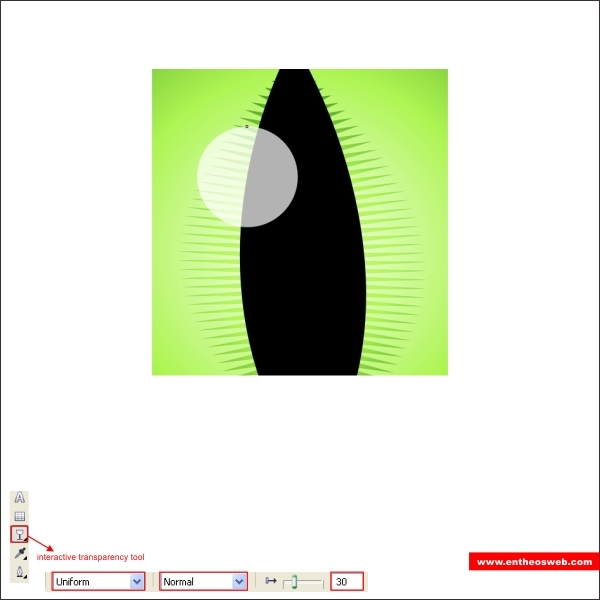 After that create a small circle on top of the black lens using " Elipse Tool ". 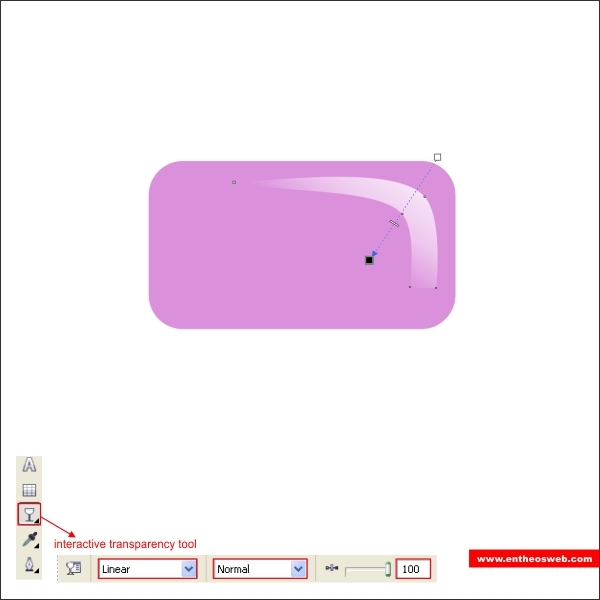 Go to the " Transparency Tool " and apply the value below to make the circle transparant. 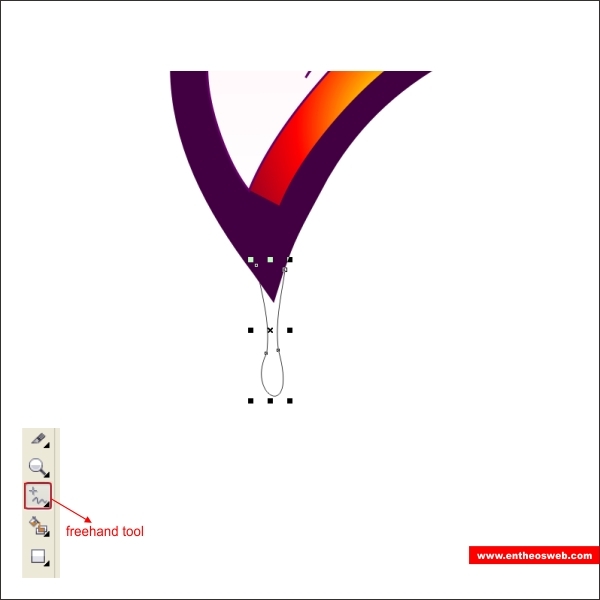 After that we will create a base for the eye using " Bezier & Shape Tool " similar like below. 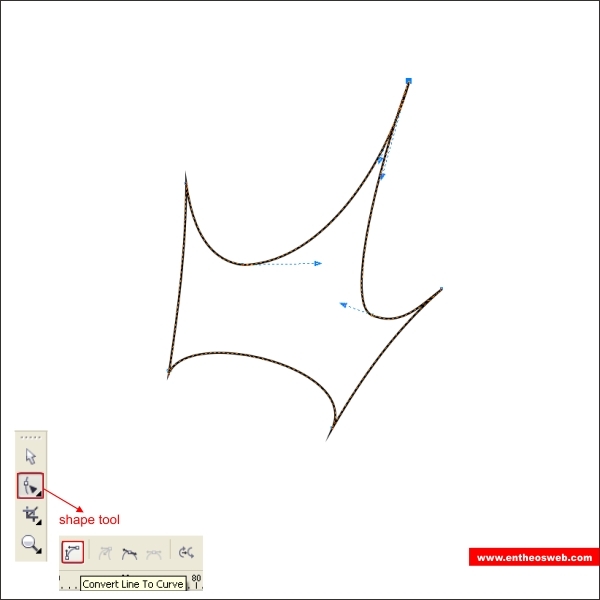 Using the same methods create a crown shape as well. 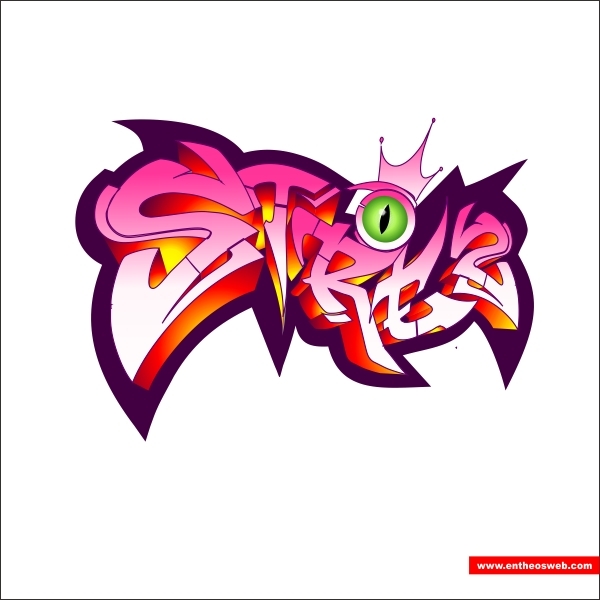 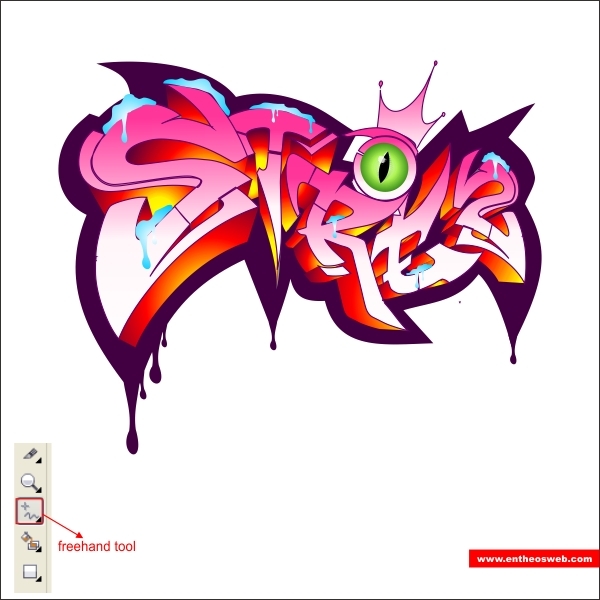 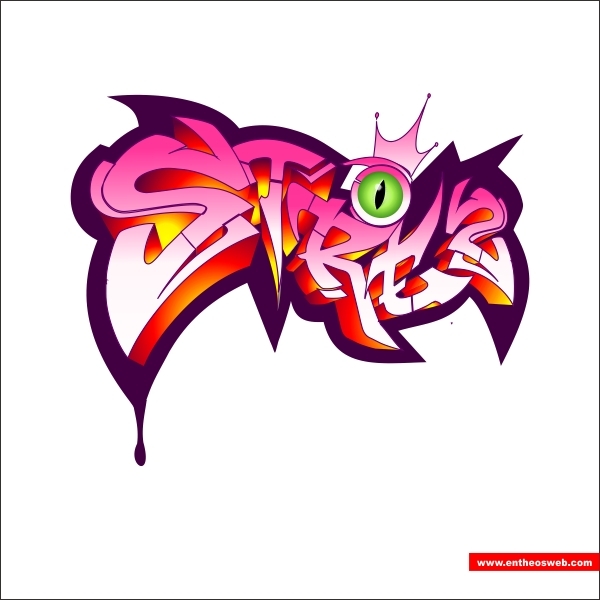 Put same color as the Graffiti Illustration and arrange it on the back of the Eye. 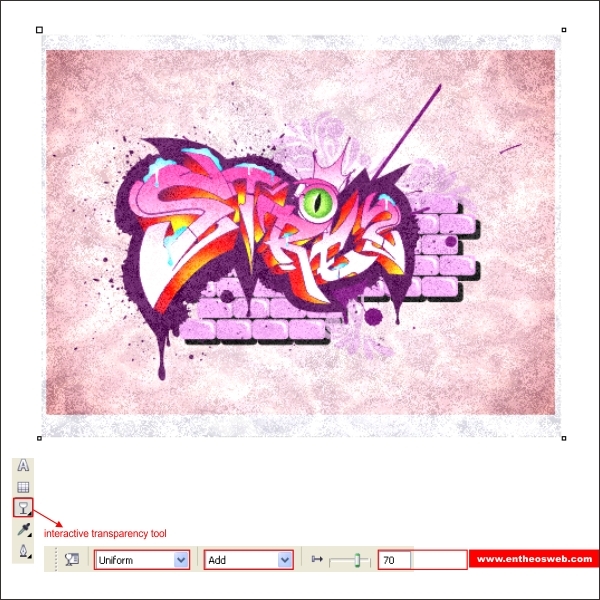 Group the whole thing by pressing " Ctrl + G " and arrange it on top of the Graffiti Illustration. 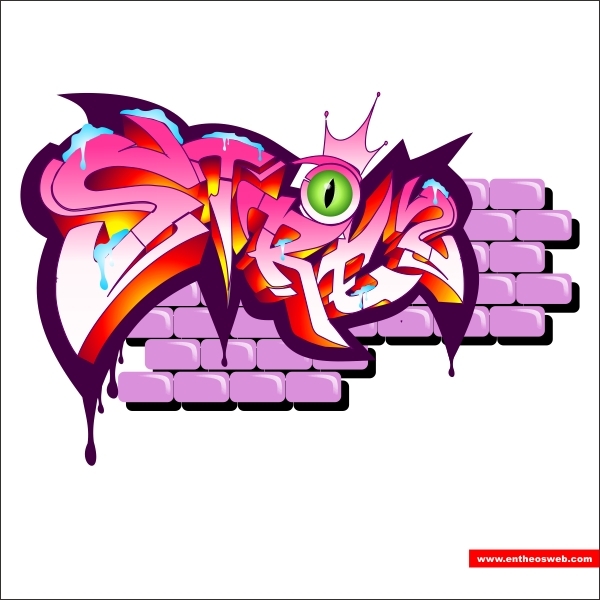 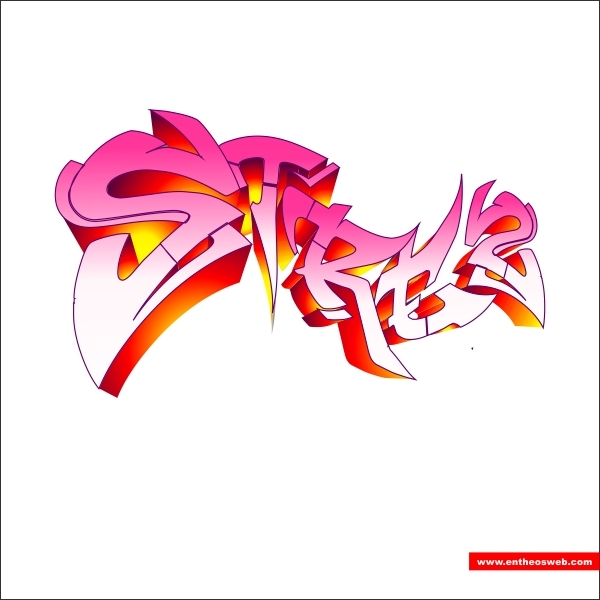 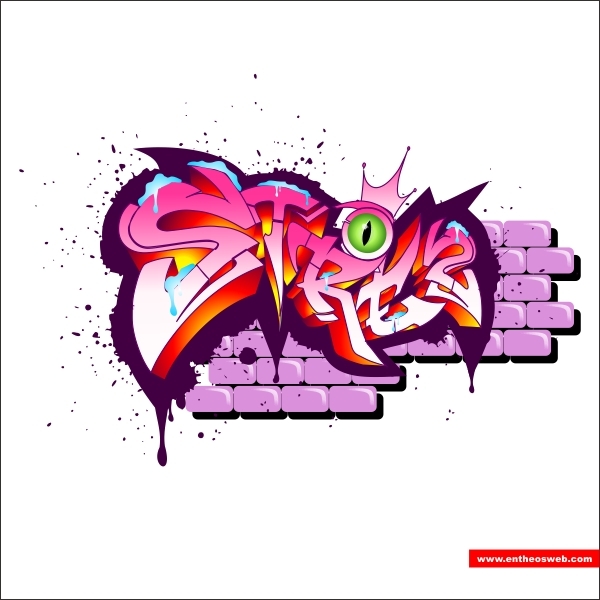 Okay now using " Freehand " create a water drops on the bottom left corner of the Graffiti Illustration outlines. 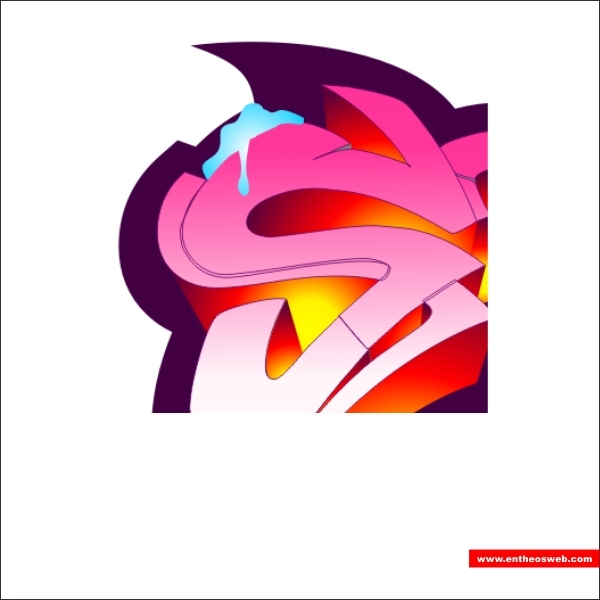 After put same color with the Graffiti outline on the waterdrop. 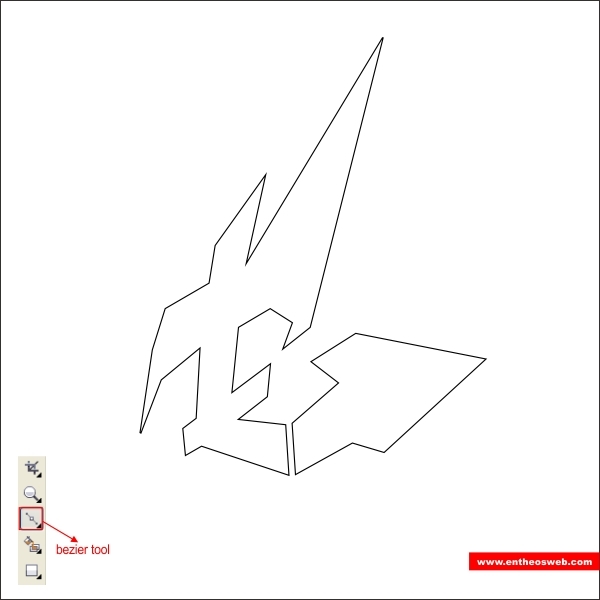 Now all we have to do is copy it to all of the outline corners. 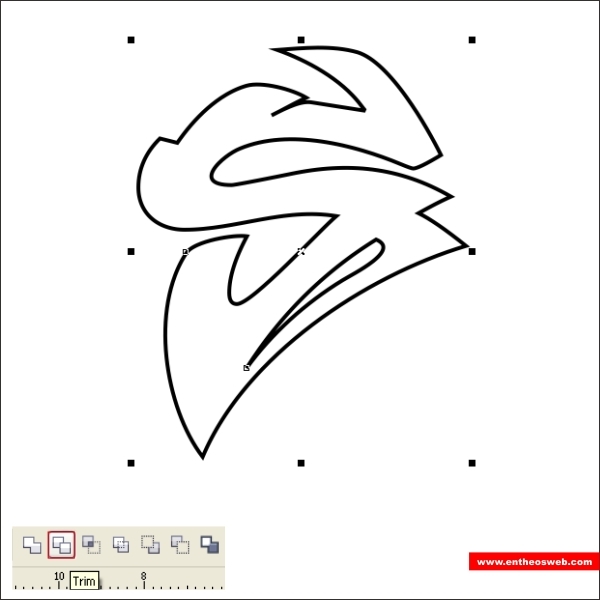 We are going to add more details by adding more waterdrops, go to the " Freehand Tool " and draw a waterdrop shape on top of the " S " shape. 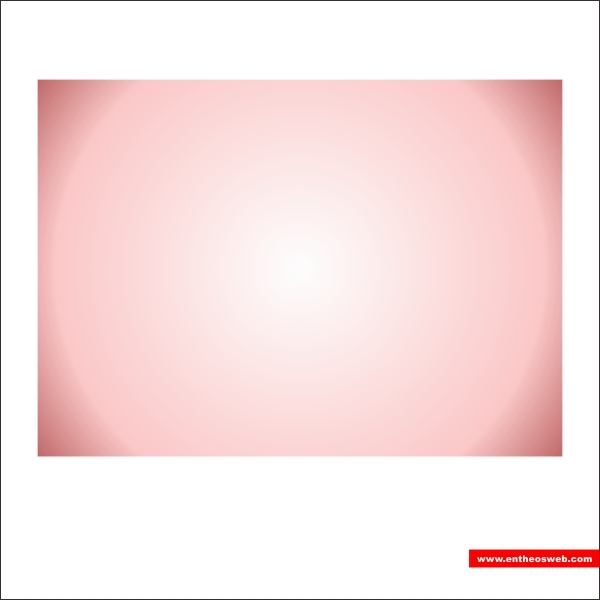 Put a water gradient color in it by applying the value below. 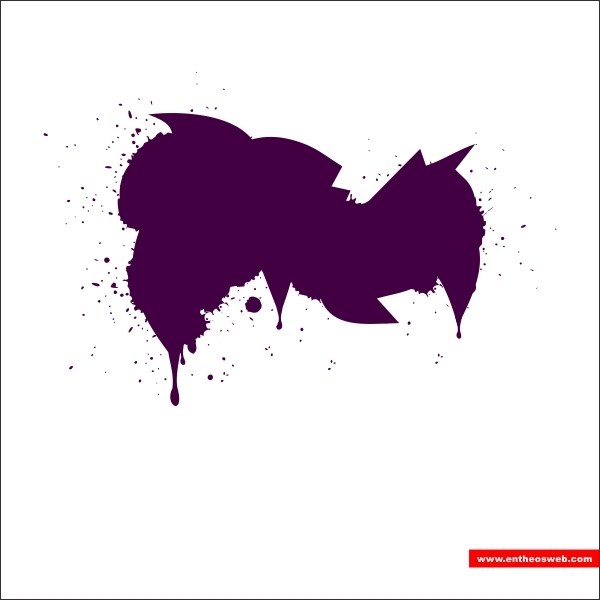 Using the same technique you can add waterdrops as many as you like. 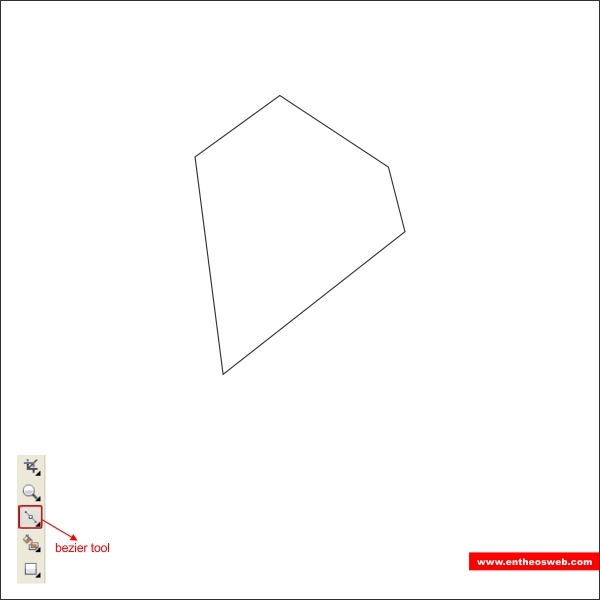 Okay now create a box shape of any size using " Rectangle Tool ". 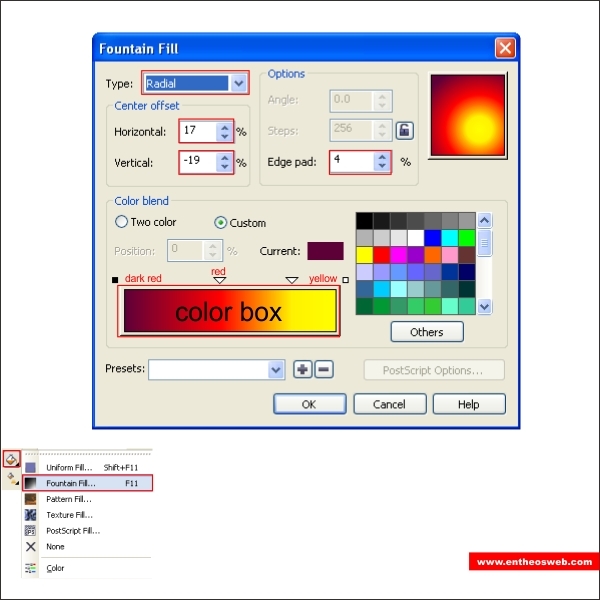 After that make the corner rounded by go to the corner options on the upper toolbar and apply the value below. 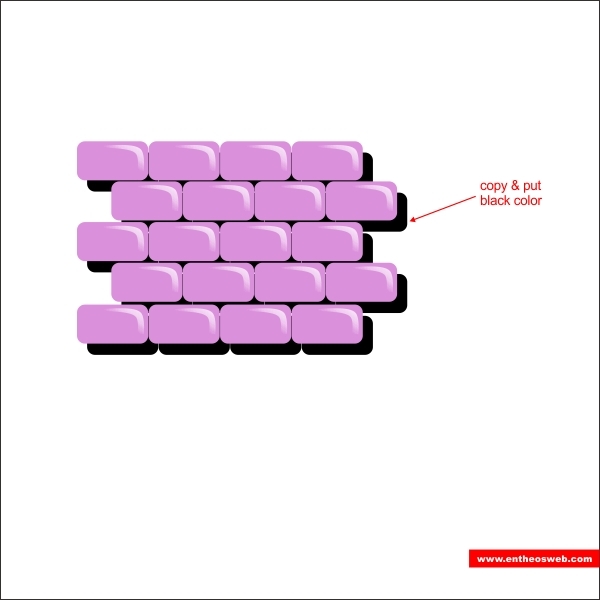 Put purple color in it and draw a custom corner shape on top of the brick. 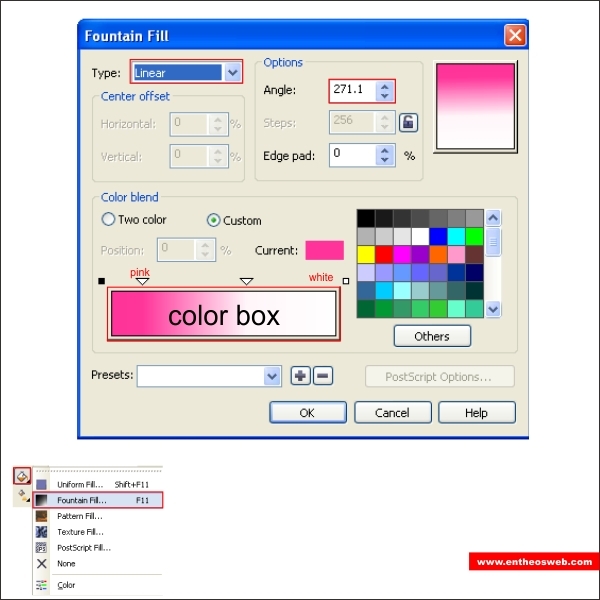 Make it transparent using " Transparency Tool " apply the value below to create similar. 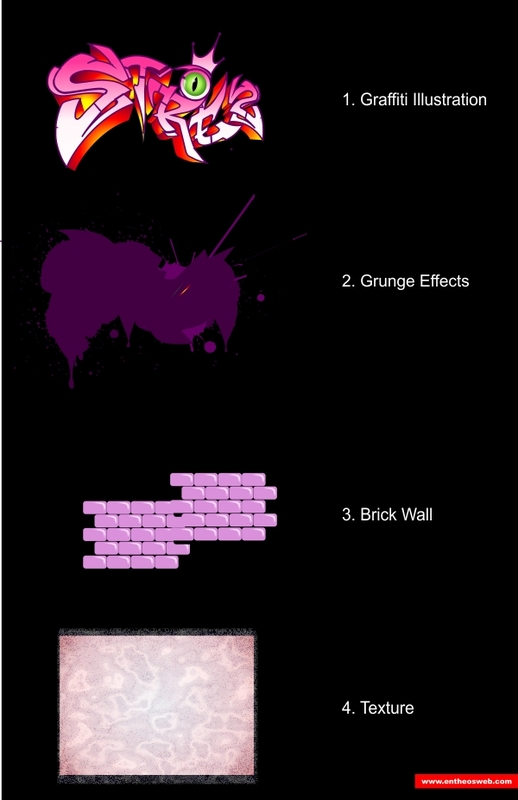 After that lets copy it as many as you like untill it looks like a brick wall. 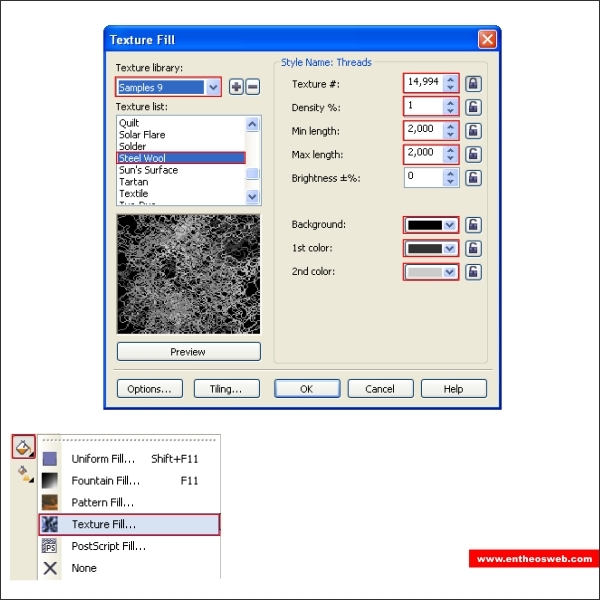 Select and group all the bricks by pressing " Ctrl + G " copy it and put black color on the copied one. 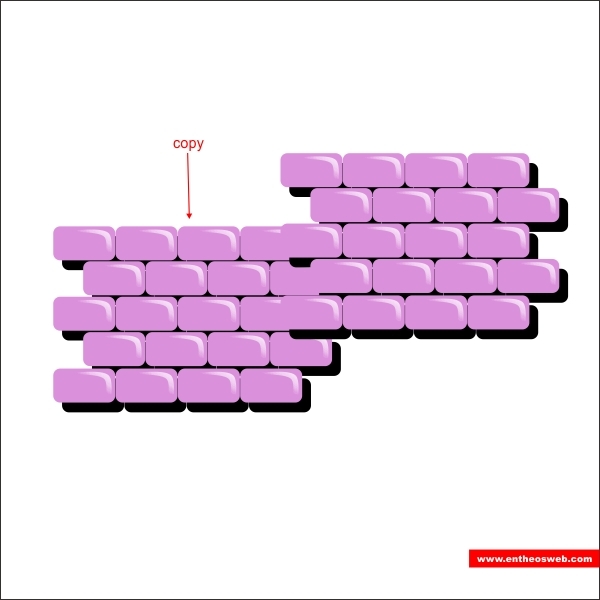 Copy it again arrange it on the bottom of the original brick wall. 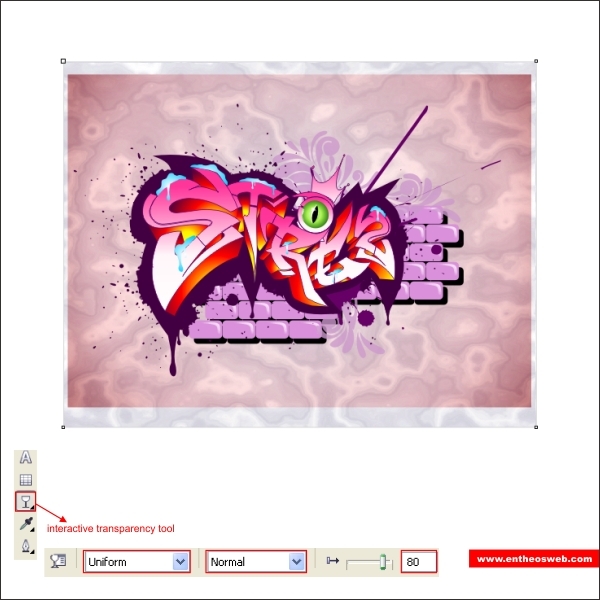 Okay now arrange it on the bottom layer of the Graffiti Illustration by pressing " Ctrl + PageDown ". 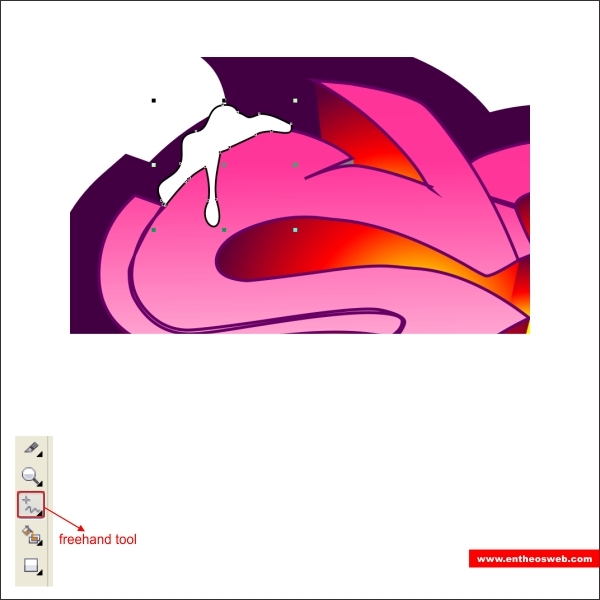 Okay now that you have already get used to the " Freehand Tool " create a watersplat shape, you can create as freely as you want just make sure its looks like a watersplat. 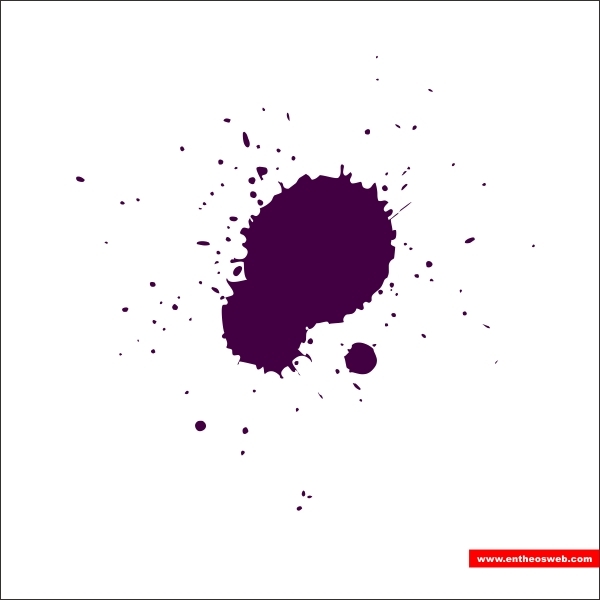 After that go to the " Smudge Tool " and double click on the edges of the watersplat to create a splat effects. 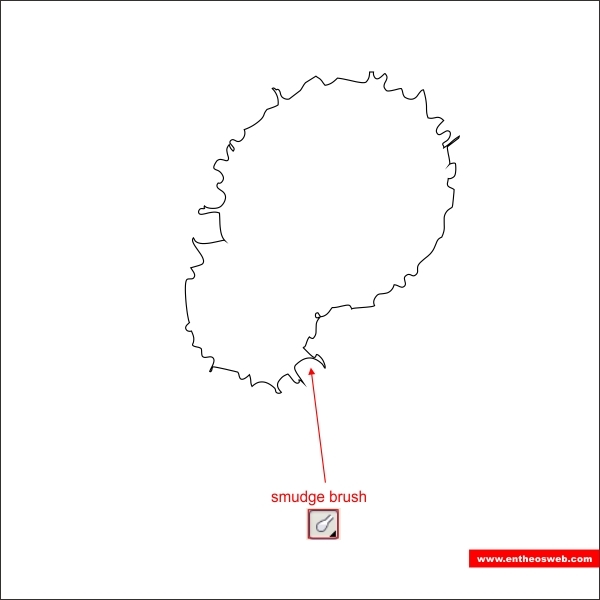 Apply it on all edges. 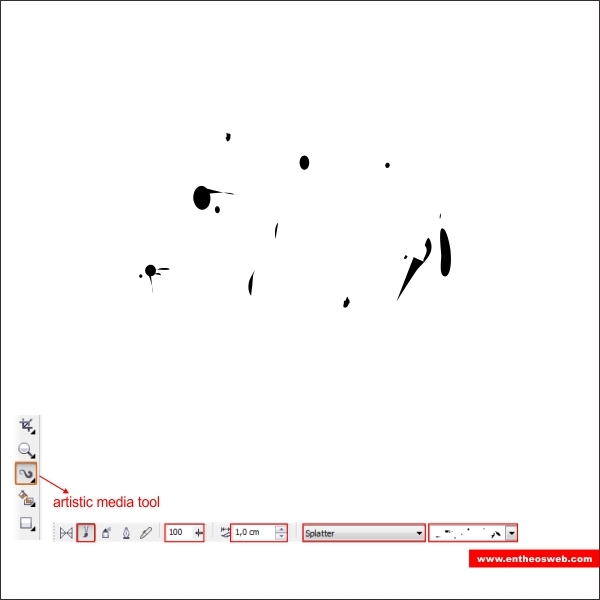 After that go to the " Artistic Media Tool " in the upper toolbar find the media option and apply the value below. 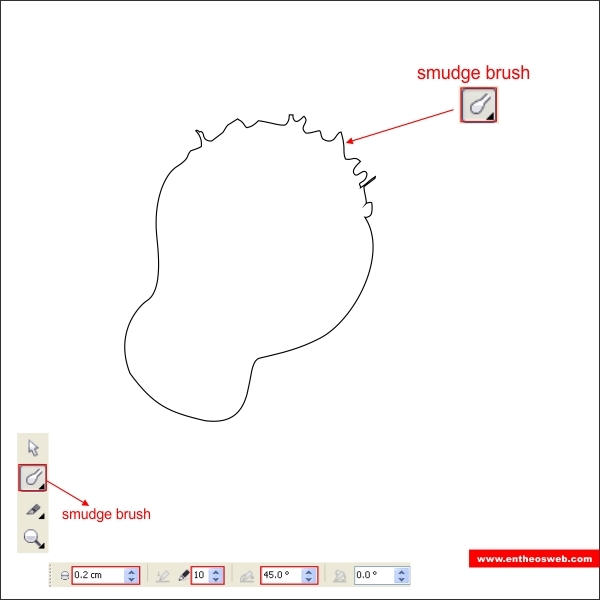 Copy the splat and arrange it around the first splat shape that you previously create. Group it all and put same color as the Graffiti Outline. 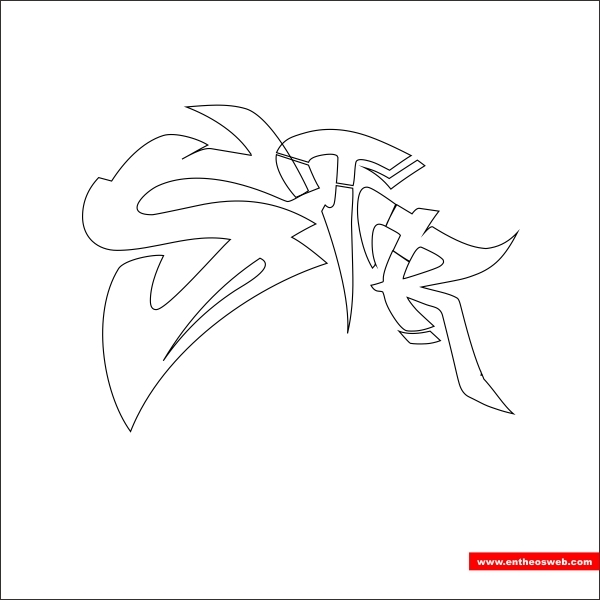 Okay now you can appy the Grunge shape to the Graffiti outline, copy it as many as you like. 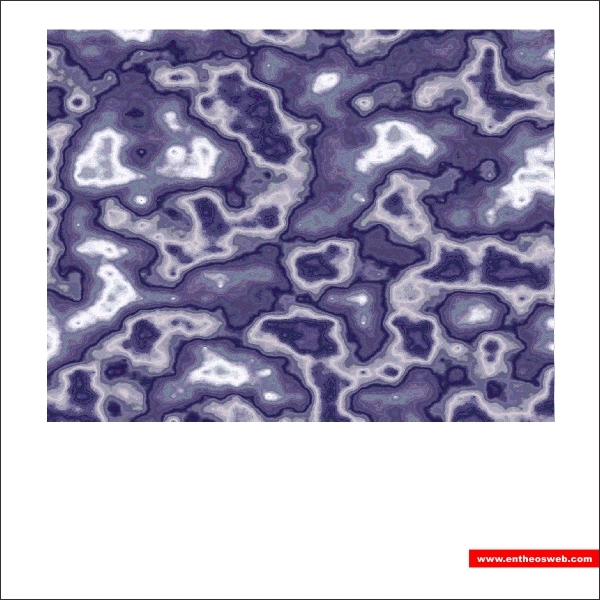 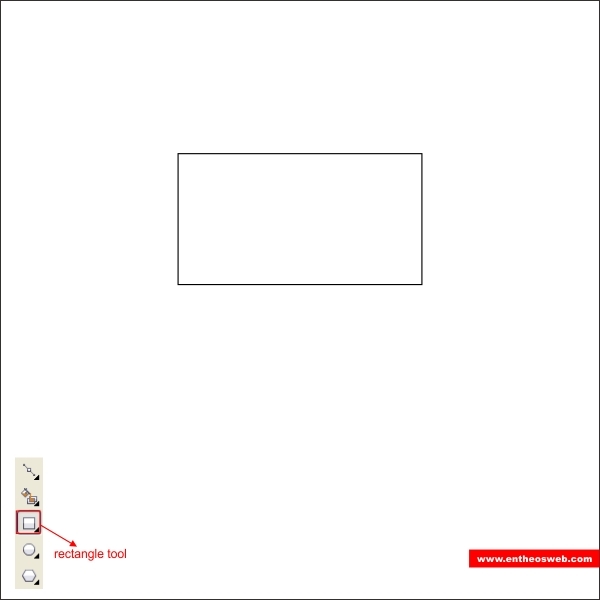 Okay now lets create the texture, create a box shape using " Rectangle Tool " resize it to 24 x 17 cm. 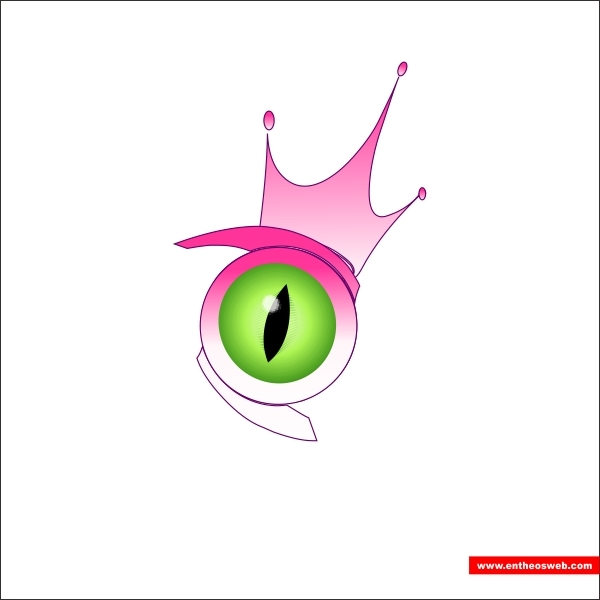 Put pink gradient color in it. 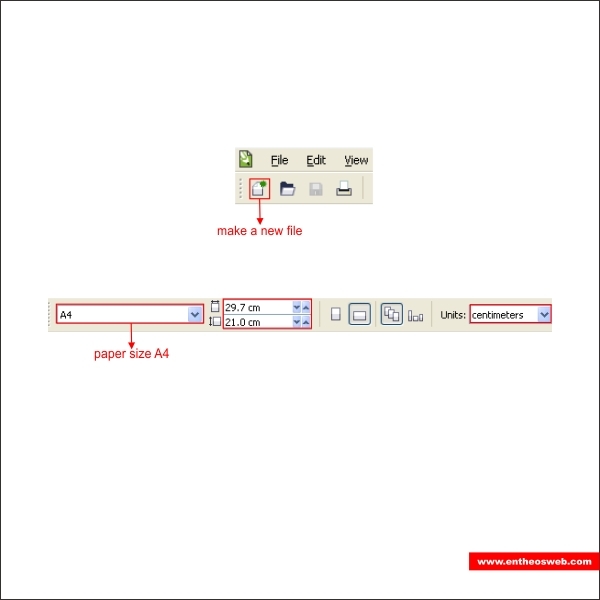 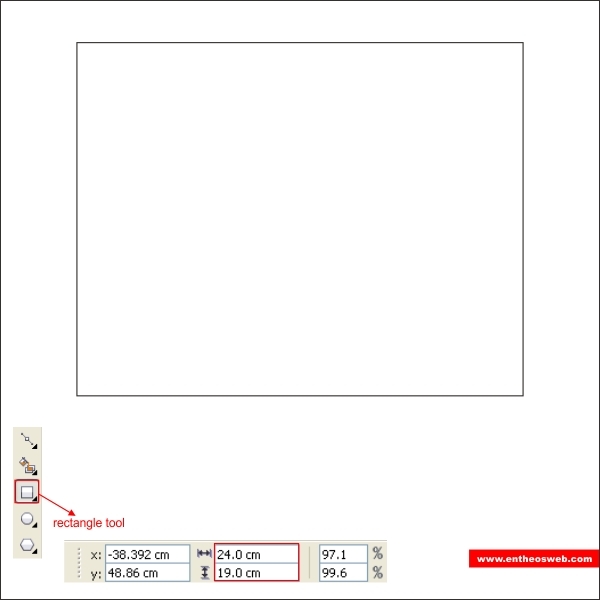 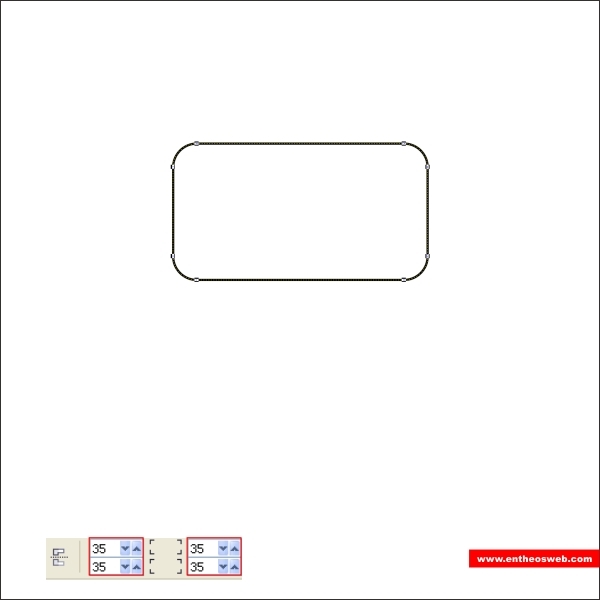 Create a second box shape using " Rectangle Tool " and resize it to 24 x 19 cm. 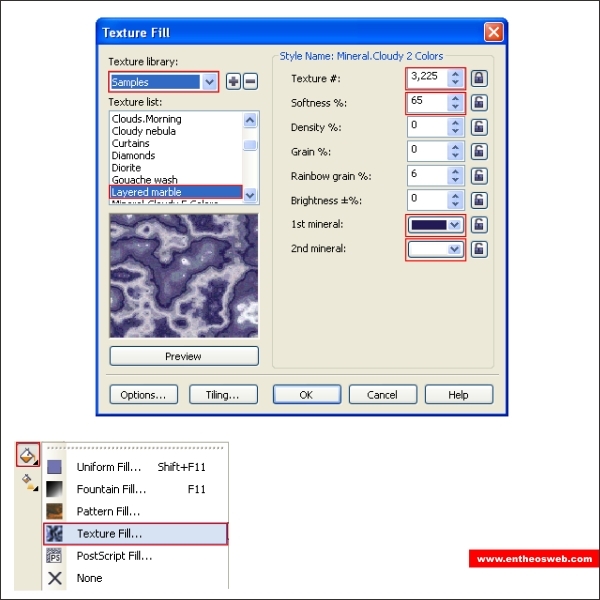 After that go to the " Texture Fill Tool " select the layered marble for the texture. 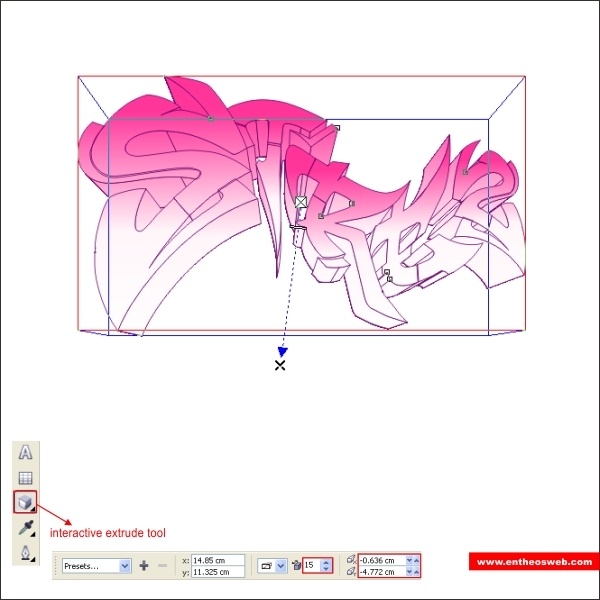 Now put it on top of the Pink box shape and Graffiti Illustration, after that make it transparent by applying the value below. 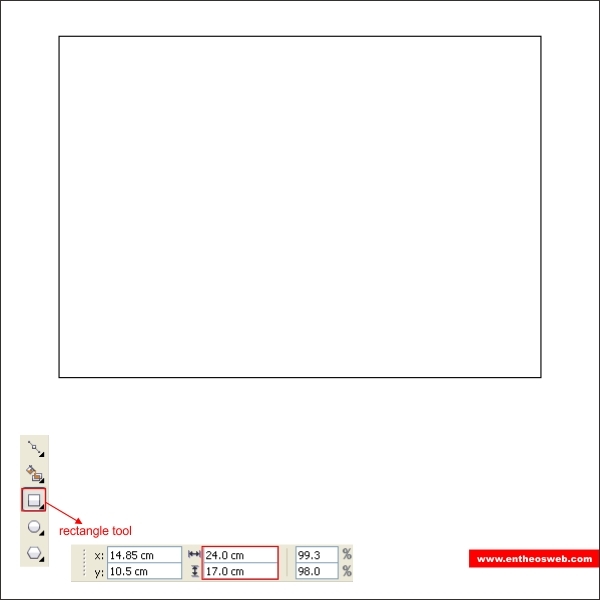 Create the third box using " Rectangle Tool " and resize it to 24 x 19 cm. 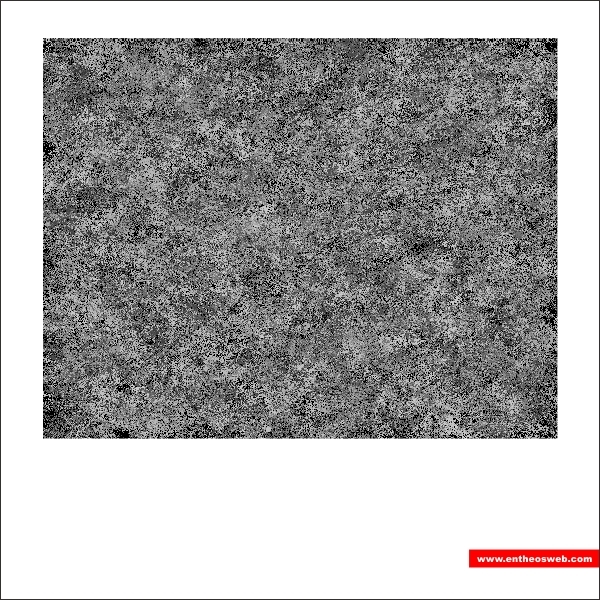 Go to the " Texture Fill Tool " and select steel wool for the texture. 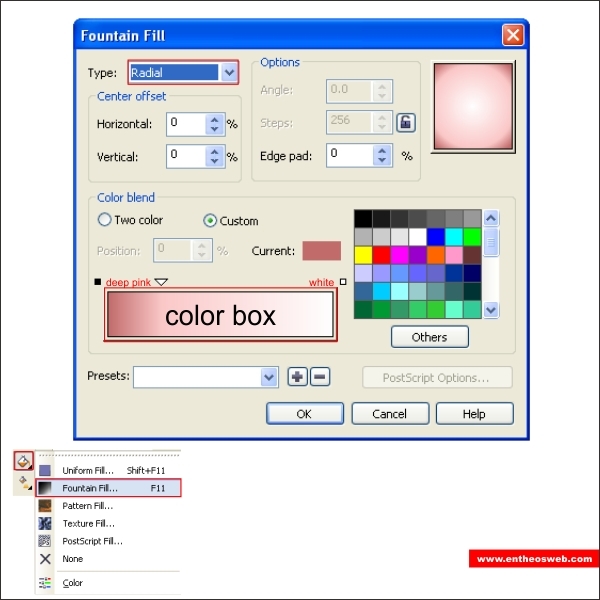 Okay now arrange the third box on top of the other objects, and make it transparent by applying the value below.